To achieve equity in the classroom, some learners need extra support to reach the same goal. In addition to the embedded strategies in the Teacher’s Editions, in both digital and print formats, Open Court Reading includes a variety of additional resources to give all students access to the same level of rigor and reading development as their peers, as well as challenge those who want to go further. Lessons are divided into Foundational Skills, Reading and Responding, and Language Arts. Each part is supported by differentiated strategies for students at all levels of ability, as well as English language learners. Strategies for Differentiated Instruction and English Learner Tips are provided at point of use in the Teacher’s Editions, both print and digital. During whole-group instruction, all students have equal access to the same level of rigor. Workshop Time is when teachers can work with small groups of students to meet individual needs. During this time, they review or reteach concepts, or extend concepts for those who need the challenge. It can also be the perfect time to use resources from the English Language Development Kit to support your English learners. Open Court Reading provides ongoing assessments, both formal and informal, to identify any gaps in student learning. Any number of resources available within the program can bridge these gaps. 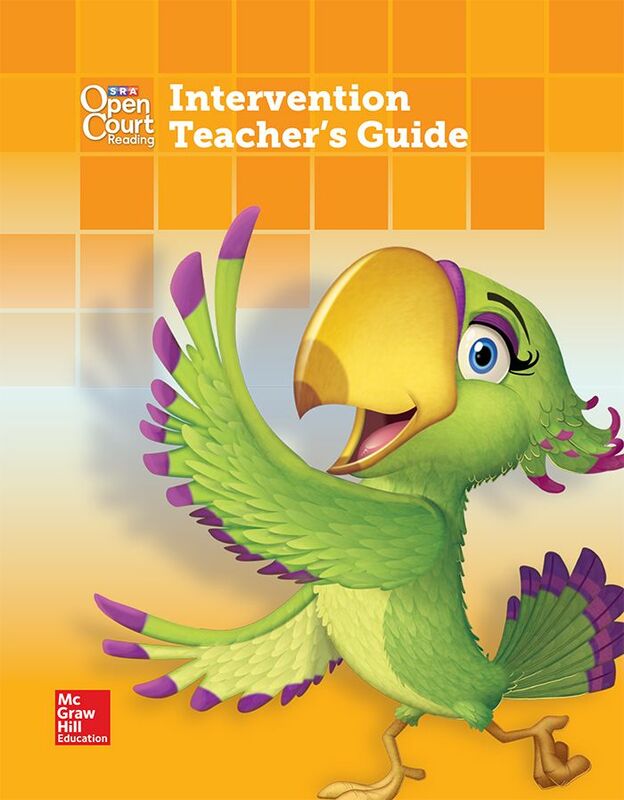 Available digitally or in print, the Intervention Teacher’s Guide provides extra support and practice in the skills and strategies students have learned during whole-group instruction. Teachers may use it for small-group or individual instruction during Workshop Time. Reading is about gaining meaning—and providing opportunities to extend students’ understanding and engagement promotes this growth as a reader. Challenge Novels offer additional reading opportunities, with unique content designed around a central theme that relates to each of the six units in grade 2–5. Want to begin a free trial of Open Court Reading?